This page is for the original 2002 release. 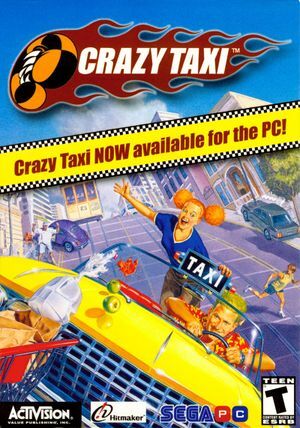 For the Steam version, see Crazy Taxi (Steam). Open Crazy_Taxi_PC.exe with a hex editor such as HxD. Press Ctrl+F and search for the hex value 8002. If you can't edit the file because of no permissions, right-click the file, click on Properties and uncheck "Read only". Press Ctrl+F and search for ABAAAA3F. Do the same replacement as before. Press Ctrl+F and search for 400000003F. Click after the 40 value. Press Ctrl+R and select "Floating point number". Search for 0,5 and replace with one of the following values which represents FOV. However, the higher FOV value you set, the more objects on both sides of the screen will disappear. Run CTConfig.exe and set the resolution to 640x480. Widescreen resolutions cause cropping on bottom parts of the menu and HUD. To fix this issue, open the GPU Control Panel and set scaling to fullscreen.